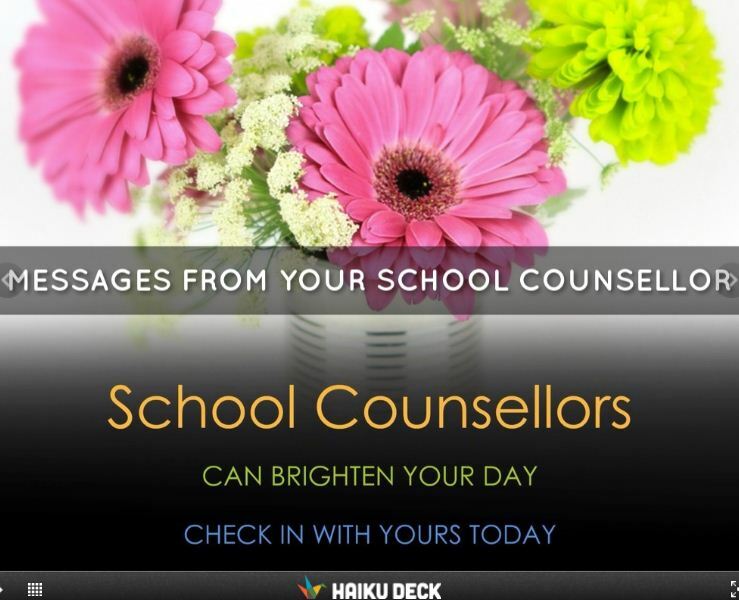 HAIKU DECK is a fantastic app to use for School Counsellors. It is no secret that I love this app. I love this app because it is easy to use and creates professional looking beautiful presentations that I can easily use in my counselling office or as a professional development tool that I can use in presentations with other school counsellors. Stunning visuals have the ability to evoke emotion, a powerful tool for school counsellors to utilize. By being an active champion of both learning and technology school counsellors can use Haiku Deck to create amazing visuals that not only assist students in learning , but they can actually help students. If you would like to try the web app please click here: You are invited to try the Haiku Deck web app. Previous I Will Remember … Will you?